Take a break from the stress of organizing and traveling at Crossfire’s mini golf course. Get the family together and test your putting skills on each of the course’s 18 obstacle-filled holes. 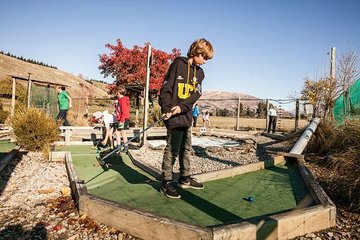 Each hole is themed around a local landmark and tells a story about that landmark, so you can learn more about Wanaka while you’re having fun. You might even find out about places you didn’t know about!